With a state of the art primate house, this is home to Steve and Lisa and their son Bryn. How times change! 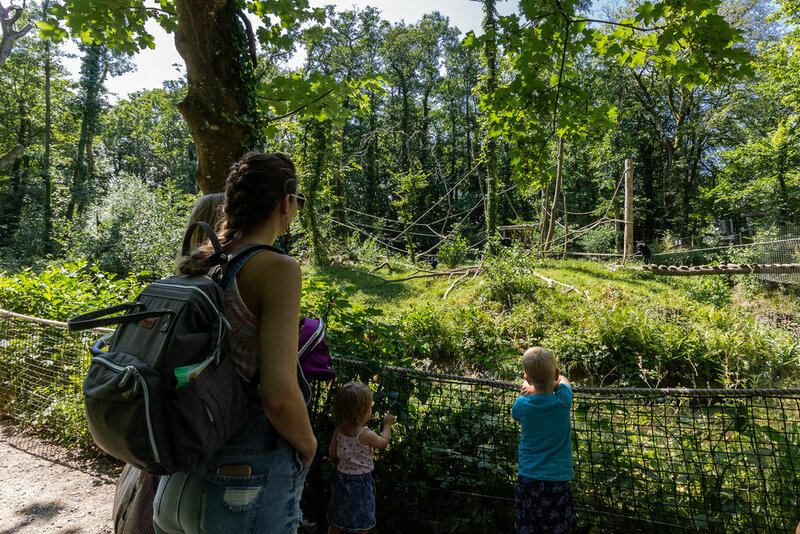 Here you’ll enjoy seeing a once caged and badly damaged gibbon enjoying family life and enjoying the freedom of the trees. Steve and his family love their natural looking island, it's just like the wild forests of South East Asia. Come and take a a seat and and listen to nothing but the leaves rustling in the wind and the impressive calls of these three wonderful gibbons.